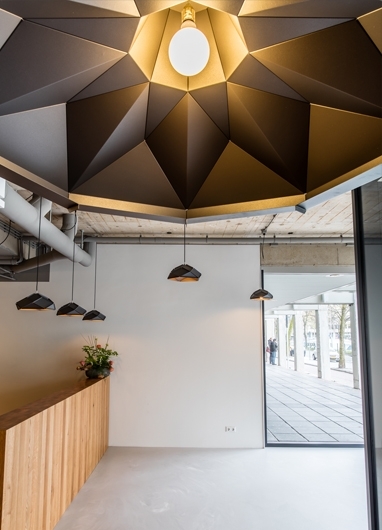 For the Office building of Thornico and Weststar-management B.V. also called “The Thornico Building” in the city center of Rotterdam we got the assignment to make the lighting plan and deliver the lampshades for the 3 entrance halls of the building. 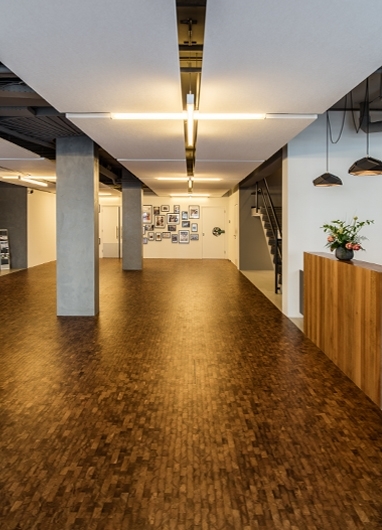 The goal was to create a minimalistic, but still welcoming experience; inviting the visitors of the building in with a good lightingplan but at the same time complement the minimalistic and clean interior of the halls. 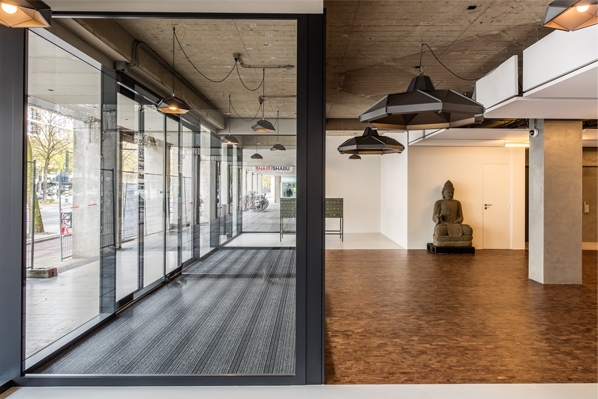 To provide the functional lighting we used T5 Tube light fixtures and LED downlight spots, creating a even lighting and providing the right amount of light in this public/working space. 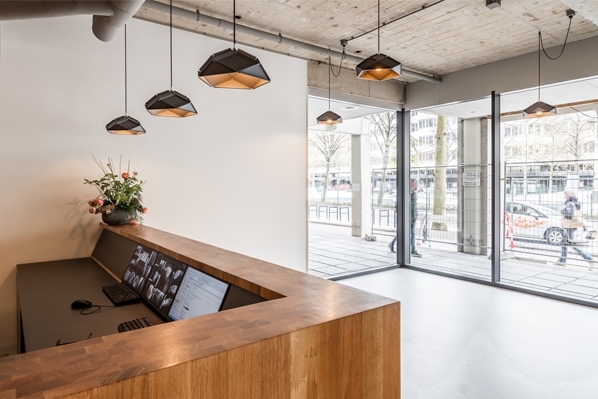 For the touch of cosiness and welcoming effect we hung a “grid” of small pendant Solid lampshades of our own design in the glass air locks and entrances of the halls, a playfull yet structured look. The first thing you see when entering the hall trough the air locks are the Extra Large Klink Lampshades we custom made for this project. With their diameter of approx. 140cm and hight of 56cm they form the eyecatchers of the space. 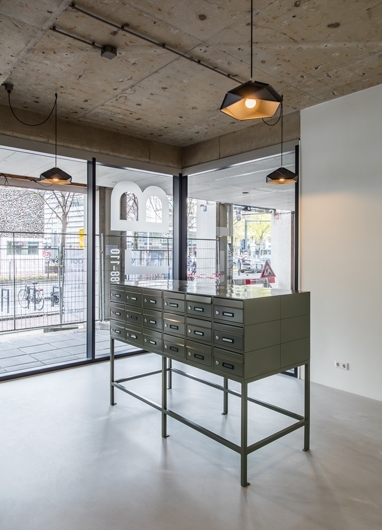 The result: A mix of functional and decorative lighting to create a sufficient yet esthetic lightplan.